Inspriration can come from almost anywhere. For example, my wife and I were watching Market Warriors, there was an episode about miniature furniture were a small dresser was shown. She really liked the miniature dresser, so I decided to build one for her. Mine will be made of some really old reclaimed birch, I used some of that wood for the bookcase project. 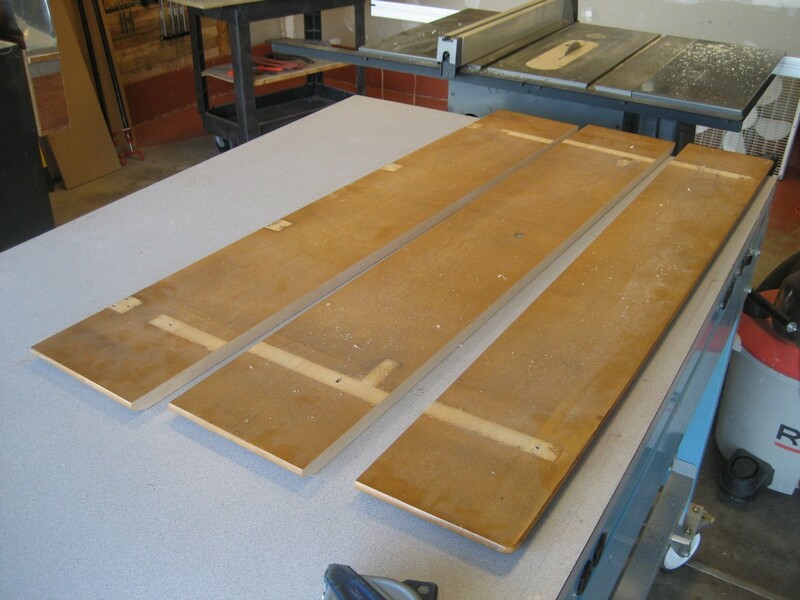 The wood was formerly a table, the piece for this project was one of the drop leafs. There are some screw holes, but obviously they do not extend through the piece. The table was in my family since I was a kid, but it did not age too well. 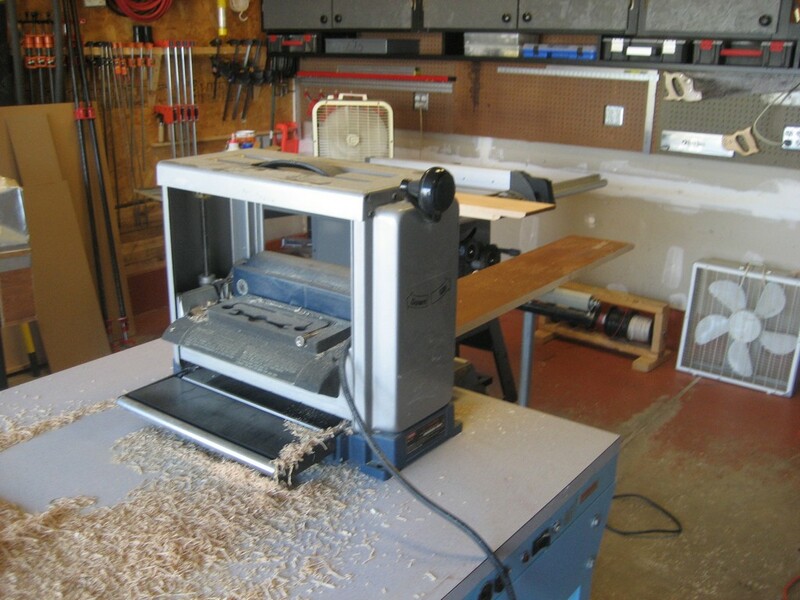 But instead of tossing it to the landfill, I salvaged all the wood that was usable. 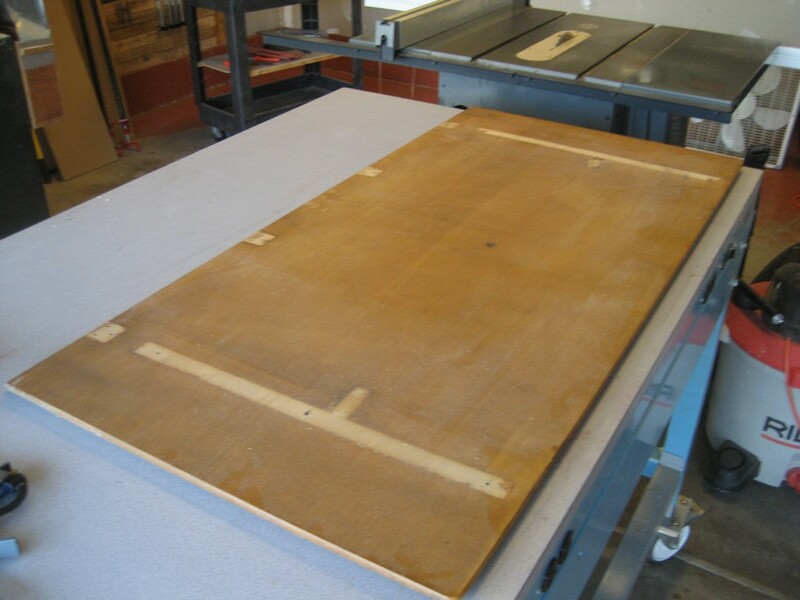 To get started, I took the drop leaf and cut the two pieces needed for sides, top and bottom, ripped 7″ wide. 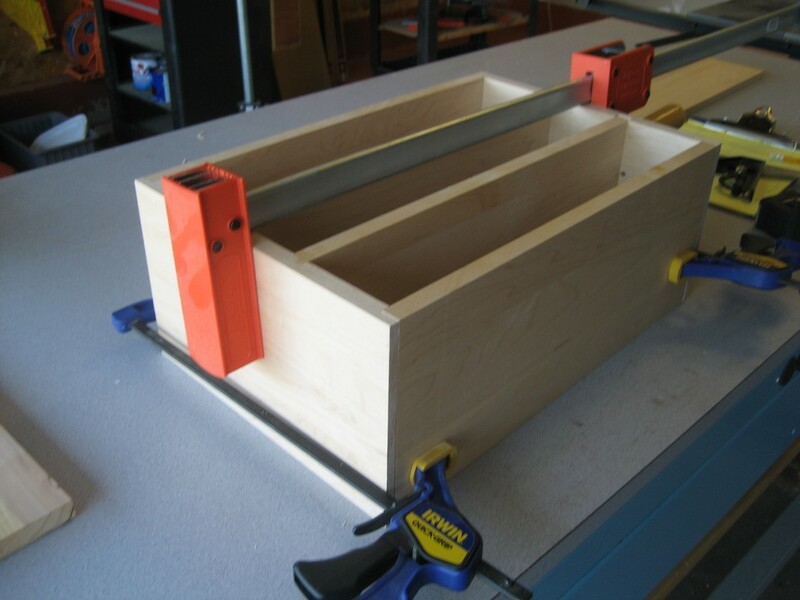 The remaining 5.5″ board will be used for the interior drawer shelves. 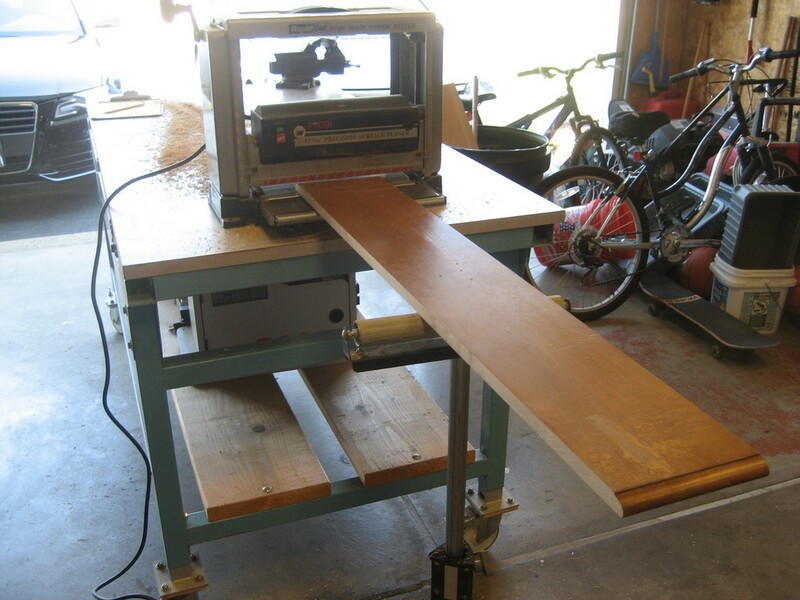 I’ve previously used the belt sander to remove the finish on the table parts, and it is not a fun process. 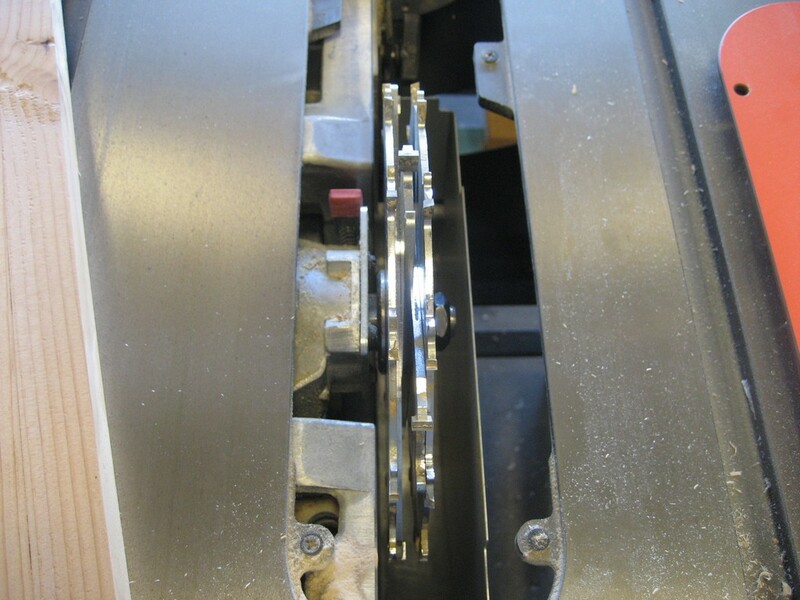 The belts get gummed up with the finish, which then has to be cleaned out. The overall process is slow and tedious. 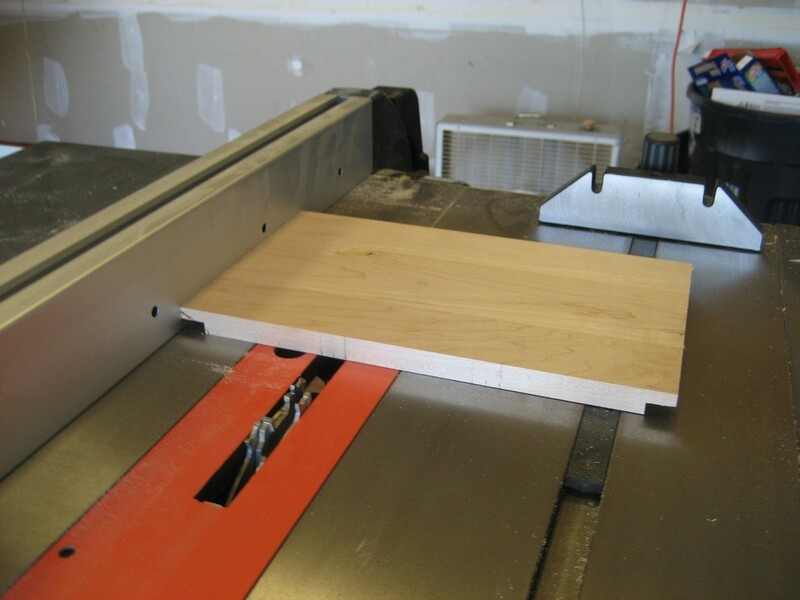 Since I want these boards to be 5/8″ thickness, I elected to use the thickness planer this time. Probably not the best for the knives, but it worked really well. 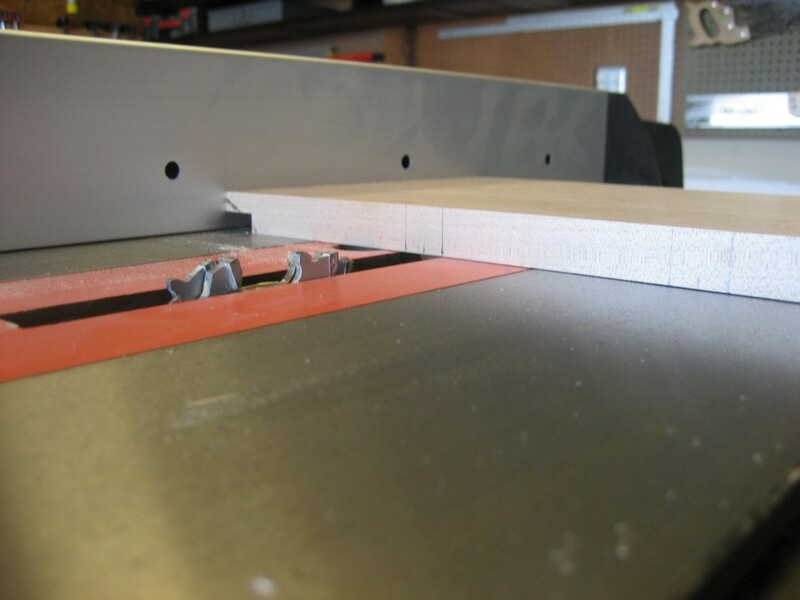 Now that the boards are planed to the proper thickness, the top, bottom and sides were cut to length. 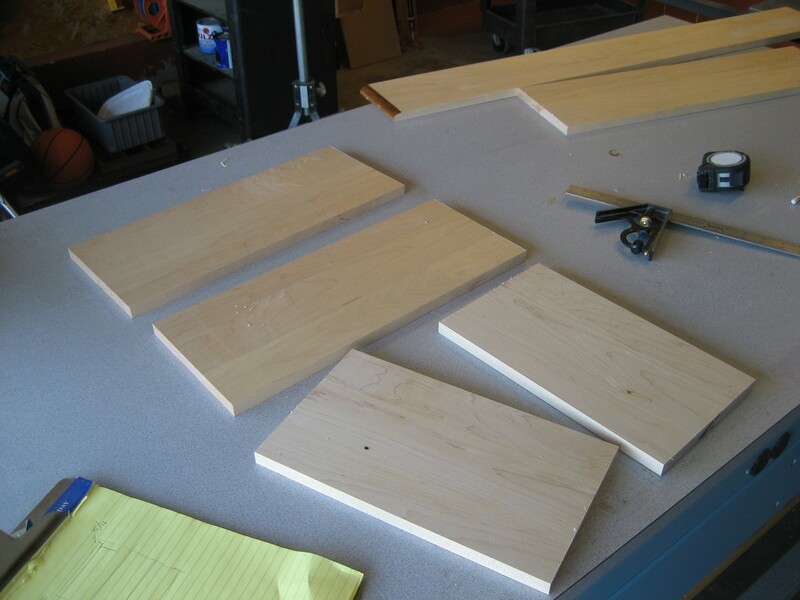 The next step is to decide how to joint the boards. 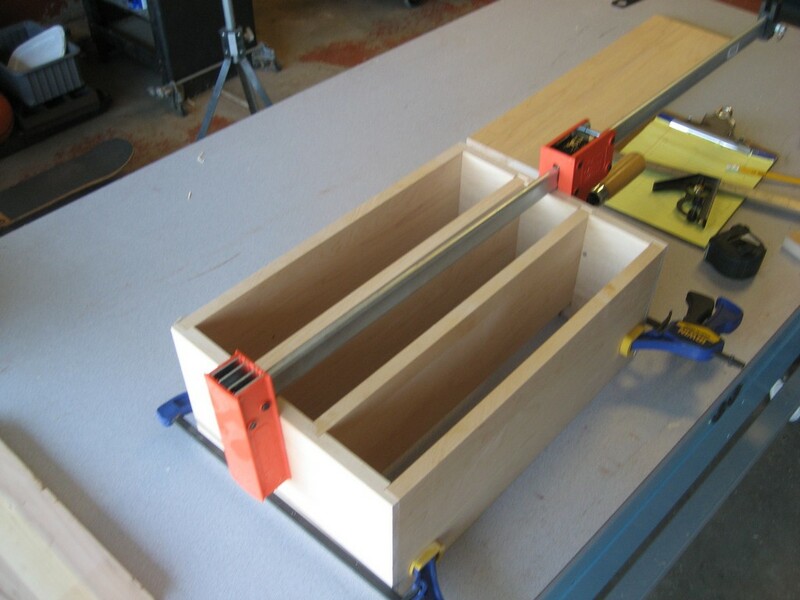 I would like to have used dovetails or finger joints, but I don’t have a jig for fingers and certainly don’t have the skills for dovetails. 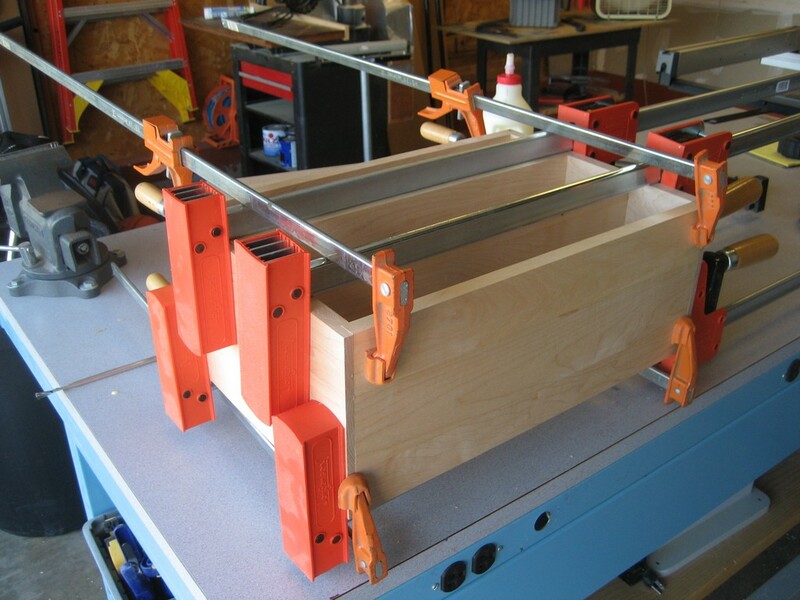 So it will be rabbets and dados. 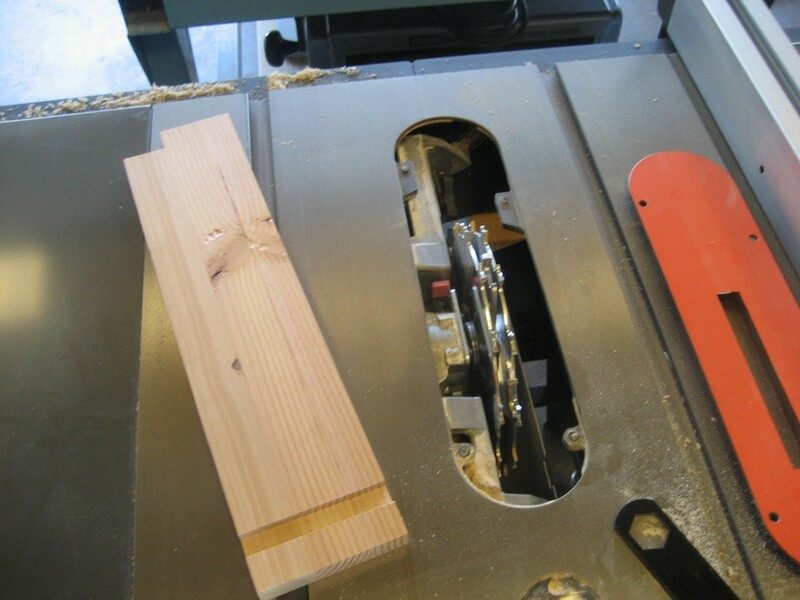 To accomplish this, the stacked dado blade was used and many, many test cuts. 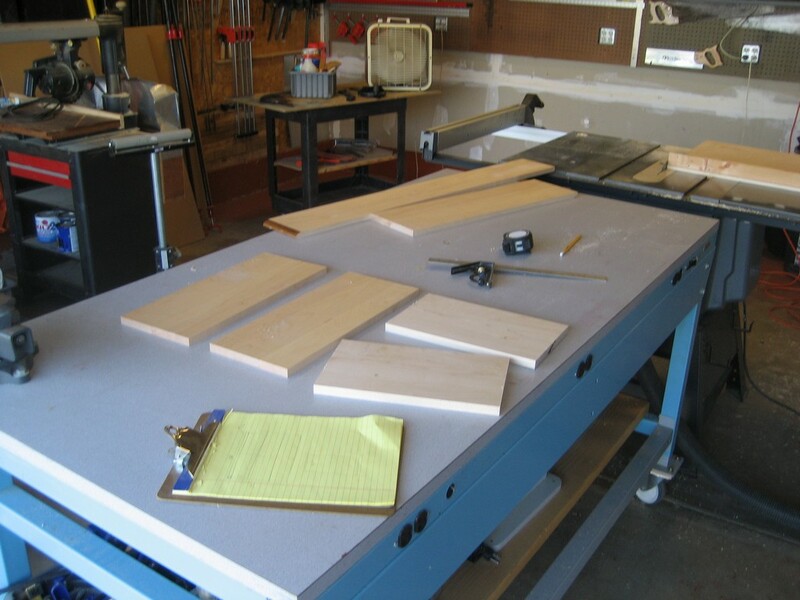 With the dados cut, it was time to dry fit the boards. A little snug, but I would rather have it that way versus too loose. 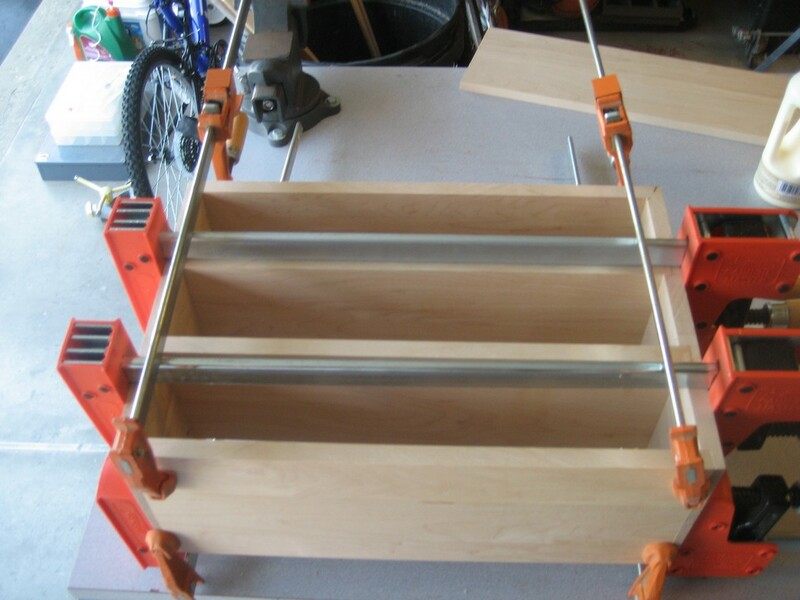 Time for glue and clamps!